The vision of the Department of Archaeology of Sri Lanka is to promote proper management of Sri Lanka’s archeological heritage. 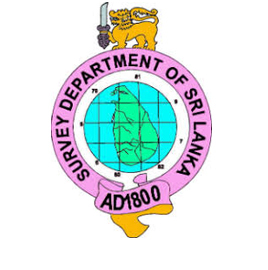 The mission of the Department of Archaeology of Sri Lanka is to function as Sri Lanka’s apex institution and chief regulatory body for the management of its archaeological heritage. Visualizing and analyzing the available forest resources and its related activities for better decision making process. Platform for publishing and provide easy access to information. A Centre of Excellence in weather and climate related services to provide services pertaining to Meteorology, Aeronautical Meteorology, Ocean Meteorology, Hydro Meteorology, Agricultural Meteorology, Climatology and Astronomy to government agencies, private sector and the general public in keeping with national interest and international standards. Providing Rainfall, temperature maps (daily, monthly, yearly and average maps). Issuing spatial maps for planning and national projects. The legally mandated organization for the protection and conservation of Fauna, Flora and their habitat from commercial and other misuses. Boundaries of the Protected Area Network designated under the provision of Fauna and Flora protection. Data generation update and use. Availability of standardized spatial data at one point will help IWMI in carrying out reliable research and producing high quality research outputs for Sri Lanka. The Government of Sri Lanka is implementing the Integrated Road Investment Program (iRoad to improve the connectivity between rural communities and socioeconomic centers by improving the transport efficiency on selected national, provincial and local roads.Under the iRoad Program, around 3000km of rural roads in Southern, Sabaragamuwa, Central, North Central, North Western Provinces and Kalutara district in Western province will be improved / rehabilitated and maintained for three years through 42 civil works contracts. 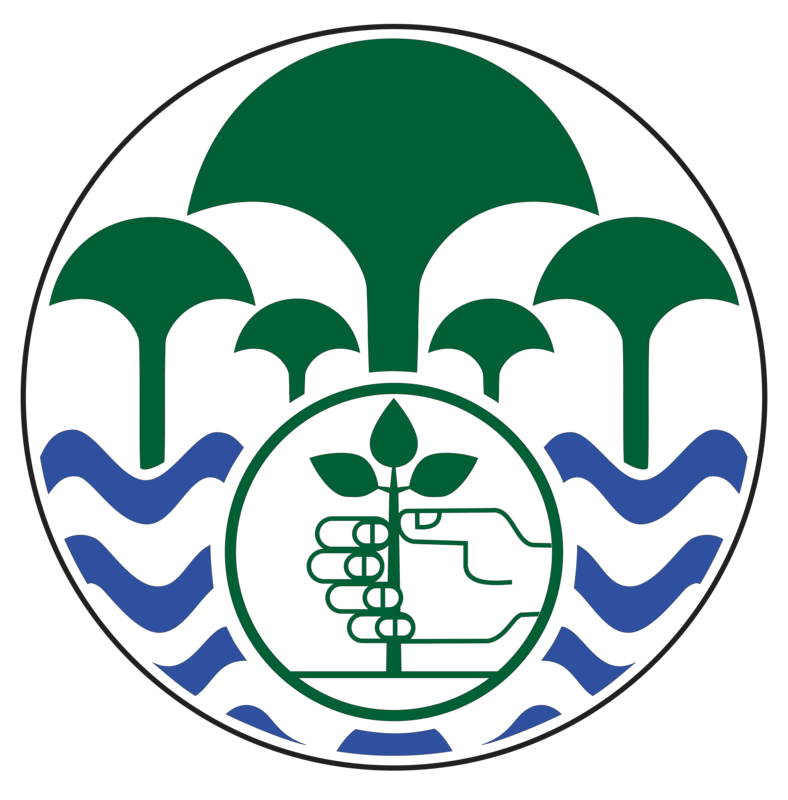 Land Use Policy Planning Department was established in 1983 as a unit of the Ministry of Lands and Mahaweli Development to introduce scientific land use planning for Sri Lanka. The division was upgraded to a department status in 2010 by timely significance of the subject and the expansion of the role. Land use planning activities carried out by Land Use Planning officers or Development officers attached to the District and Divisional levels according to the guidance given by the Head office. All planning activities are supervised and monitored by Assistant Director (District Land use). Activities at the National level are coordinated and manipulated by Director General with the assistance given by Director (LUP), Deputy Directors and Assistant Directors of different disciplines (Agronomy, Agriculture, Sociology and Information Systems) at the Head Office. The activities of the department mainly based on the National Land Use policy approved by the Cabinet of Ministers in 2007. Activities mentioned in the Extra Ordinary Gazette notification no. 1654/21 issued to establish the department in 2010 and the development priorities of the government. Collection of spatial information regarding presently protected areas, additional areas recommended for protection, unutilized lands, underutilized lands and information regarding the lands that are being misused is crucial in the preparation of land use plans. These information is also important to other institutions as well. NSDI is the ultimate solution to integrate all these data and bring it all to one place. Spatial data infrastructure can also facilitate the enhancement of the productivity of underutilized lands, ensure the rational allocation of unused lands and rectify the use of lands that are being misused. Sharing of land use and related information through a common data sharing platform is timely needed to utilize the land resource of the country in sustainable manner. The Ministry of Education (MoE) directs the formulation and implementation of policies related to primary and secondary education (General Education) in Sri Lanka. Vision of the MoE is to reach excellence in global society through competent citizens who share the Sri Lankan identity. Obtain an idea of the future human capital through existing data on general education in order to plan the maximum of different future. 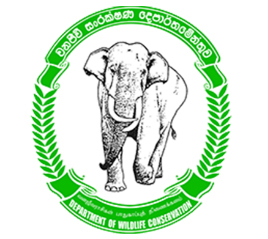 The government agency responsible to formulate national physical policies, plans and strategies, and to ensure and monitor the implementation of such national policies and plans through regional and local plans with the object of promoting and regulating integrated planning and economic, social, physical and environmental aspects of land and territorial waters of Sri Lanka. Serve the nation by providing sustainable water & sanitation solutions, ensuring total user satisfaction. The Natural Resources Management Centre (NRMC) is mandated to optimize the use of land and water resources on scientific basis to improve national agricultural productivity in a sustainable manner. Presently rapid land use changes, un-planned land utilization, population pressure, climate change are exerting additional pressure on natural resources. Therefore, development of technologies targeting judicial utilization while conserving natural resources, particularly land and water resources are a vital task. The NRMC conduct research and development programs covering several disciplines. Research thrust areas of the centre are soil conservation and watershed management, land suitability evaluation, land use planning, agro-meteorology and climate change, geo-informatics and remote sensing, productivity enhancement, soil and water quality assessments and on-farm water management. Main development programs include implementation of the Soil Conservation Act, maintenance of the agro-meteorological observation network of the country, technology dissemination, provision of technical assistance and services in environmental impact assessment of various development projects. Land utilization patterns in Sri Lanka is mostly small holding and mosaic with all type of land uses and infrastructure settings. Agriculture land use planning process need to integrate with all land related agencies. Hence, data integration via data sharing and linking is very important for sustainable agriculture planning. Road Development Authority is one of the Institutions under the Ministry of Higher Education & Highways which is the apex organization in Sri Lanka for highways sector. The Ministry is responsible for the formulation of policies and programmes covering the subjects related to Highways sector. The Road Development Authority (RDA), incorporated as a statutory body under the Ministry of Highways by the RDA Act No.73 of 1981, became successor to the Department of Highways in 1986. Since then, the RDA has become responsible for the maintenance and upgrading the National Highway Network. The RDA is the premier highway authority in the country and is responsible for the maintenance and development of the National Highway Network, comprising the Trunk (A Class) roads, Main (B Class) roads and Expressways and the planning, design and construction of new highways, bridges and expressways to augment the existing road network. The National Highway Network consisted of 12,379.63 km of roads including Expressways of length 169.845 km and 4,662 bridges (span of more than 3 m) as of the end of 2016. Sri Lanka Tourism Development Authority (SLTDA) is the official institution tasked with establishing, positioning, and developing Sri Lanka as a leading destination for international visitors and it is responsible for tapping into Sri Lanka’s natural potential to expand and enhance its tourism offering while benefitting investors and supporting communities, in a sustainable manner. Prior to SLTDA being established in 2007, these functions primarily resided with the organization known as Ceylon Tourist Board / Sri Lanka Tourist Board / Sri Lanka Tourism Board which was set up in 1966 by the government of Sri Lanka an one instructional framework created under Ceylon Tourist board Act No. 10 of 1966. 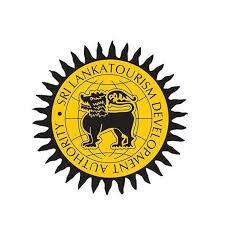 Then The Tourism Development Act of 1968 provided the Ceylon Tourist Board with the statutory authority to develop tourism in a planned and controlled basis and allowed to obtain lands for development process. The Act also conferred powers for the Protection of Highways and Places of Scenic Beauty and vested authority in the Ceylon Tourist Board for the Registration and Classification of Tourist Hotels and all other tourist services. To be recognized as the world's finest island for memorable, authentic and diverse experiences. To be a high-value destination offering extraordinary experiences that reflect Sri Lanka's natural and cultural heritage, are socially inclusive and environmentally responsible, and provide economic benefits to communities and the country. Initial use case for NSDI was to develop a platform for investors to identify correct location for tourism investment (investor insights platform). There will be additional use case developed on NSDI on the completion of the said platform. National & other type of Mapping. Six seamless data layers of the Topographic data set at 50K resolution for the whole country. The UDA, is a statutorily created corporate entity under the Urban Development Authority Law, No 41 of 1978 (UDA Law), with the mandate to “promote integrated planning and implementation of economic, social and physical development” of designated urban development areas. Mission: Promote Integrated Planning and implementation for the economic, social, environment and physical development of the declared urban areas. The Urban Development Authority (UDA) is the apex agency in the urban sector with overarching authority to plan, regulate, and implement development activities in designated urban development areas. As such, the performance of UDA will be catalytic in ensuring that Sri Lanka’s urban development is systematic, equitable, and sustainable, and sets the stage for the desired transformation in the country’s economic and urban landscape.